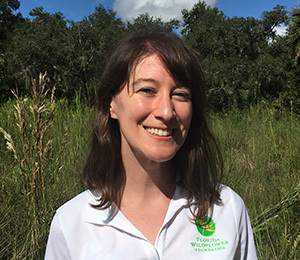 Rose Kinane is the Florida Wildflower Foundation’s Administrative Assistant. A native Floridian, Rose recently graduated from Rollins College with a BA in Environmental Studies and Sustainable Urbanism. Prior to that, she worked for the United Way of Weld County in Greeley, Colorado, where she spent all her free time enjoying the outdoors. After a brief stint as an organic farmer in Scotland during the summer of 2015, Rose returned to Florida to live her dream of protecting the environment. She is very excited to contribute to preserving the beauty of Florida.